Home › Culture › arts & entertainment › Otterday! 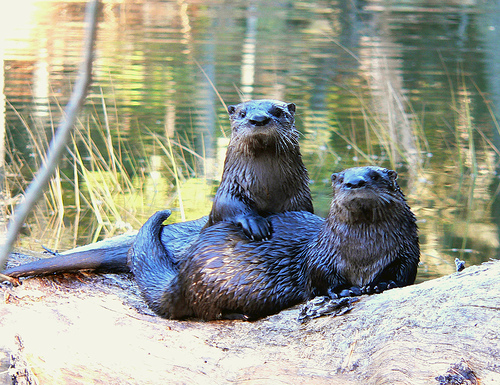 This Otterday shot comes from yeimaya at Flickr. Feel free to cap it, if you’d like this to be a bit more interactive. The ROLFbot is a handy tool. They are clearly disapproving otters. Speaking of which, we just got this book, Zen Ties by Jon J Muth, in which a panda child speaks only in haiku. It’s very cool.